Expert Tactician (You gain +6 to Initative Rolls.) - Or other variants of the bonus to initiative power for characters that have advanced tactical knowhow but don't rank up at Thrawn's Master Tactician level. For example, Zsinj, any new versions of Dodonna or Ackbar, ect. Something like this would also work well on the Tactical Droid as seen in the Clone Wars cartoons. The Seps could use some help with init control. This is for living (Cthons) or non-living (Feral Droids) characters, as in a droid cannibalizing another droid for parts or a cannibal eating a living creature (including it's own) to satisfy it's hunger. Diplomat AND Rely Orders- For instance, give this to C3-PO, and it will just like the begining of episode 4: C3-PO is on the front lines of the battle on the star ship relaying orders, yet stormtroopers aren't shooting him because he is a "diplomat". SA - Characters within 6 squares lose Droid - For Gha Nackt or someone like that. SA - Droid characters within 6 squares are subject to all Commander Effects. Actually, I know someone else who came up with this and he suggested the SA be called 'Slicer' for the character Ghent. does empathy not get rid of savage? I'm not sure where to put this but I guess this is as good a place as any. In the virtual sets, I think one of the things that is needed most for competitive games is (a lot) more options for playable 1-5 point pieces, especially for variations on door control, activation control, and CE propagation. It just seems ridiculous that every single squad throws in Mouse Droids and Ugnaughts at the end since that's the only playable option. I put a few options in my custom set over at Bloo Milk, but I'm sure more creative people could come up with better options. * 4 point versions of Mouse Droid and Ugnaught that are 10dmg +0atk shooters. * 4 point "mini-Mas" that extends the CE of a single adjacent commander. * 1 or 2 point emplacement with no defense or attack and that does not prevent enemy movement. It gives the owner override of adjacent doors. ("Control Panel" or something like that). The basic point is that I think it's silly how incredibly creative squad designs are right up until the last 10 points when everyone pretty much does the same thing. None of these options really introduce new ideas but new abilities could also be introduced to these purposes as well. Not a new ability and this may be a topic for discussion but I would like to see the new ability "Artilllerist" (that is on Chewbacca, Fearless Scout) actually add 1 subtle line to the definition: "May make attacks of opportunity on opponents with Flight special ability." They can benefit from Malakili's SA, but not CEs while Empathy is absent. 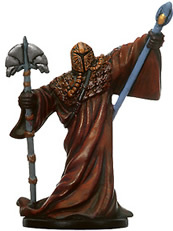 They benefit from CEs thanks to unlimited Empathy Range, but lose the benefits of the rest of the Rancor Keeper SA. Basically makes you choose how you would like to go about squad building. In this case, I would not give Malakili Empathy. However, you would have the choice of adding a cheap Wrangler to grant your Savage critters CEs. Also keep in mind that Rancors would still be benefiting from the Ambush part of the SA even if Empathy is in play. The SA is certainly a work in progress. Could the unlimited Empathy part be discarded? Perhaps. If so, I would consider giving Malakili Empathy. Savage, nasty critters while he is sitting afar, but non-Savage and subject to CEs while he is within 6. Coodinated Attack - Damage from attacks by trooper followers within 6 squares cannot be prevented or redirected if one or more allies combine fire with the attacker - "Squad Leaders"
Stay on target: ( When this character hits with an attack, 1 Rebel ally within 6 may make an immediate attack against the same target at +4 Attack) Pilot designated as Jek Porkins. "You Have Failed, Your Highness..." Any character containing the name "Vader" may be placed in this characters squad. This SA accompanies the Freedon Nadd CE in the other thread. The Spirit can still be banished easily with a FP, so I think there is some balance to the idea. The save could be higher, possibly 16. I need to playtest the Dark Spirit + the CE (Eternal Hatred, Internal Strife) to see what cost seems appropriate. I did not want him to grant Force Renewal for a reason. I want Holo Sid to still be useful. I like the "may not be prevented or redirected" part. Maybe tack on triple damage instead of double? Kind of like what Dennis suggested over in the Mace thread. Yes, I had considered that. However, doing 80 unpreventable damage (when you use this Mace you'll almost always also use the Chag Merc Commander) on a crit is a bit broken...I figured that 60 dmg was good enough, especially since it cannot be avoided by a lucky Block or Parry roll, nor by a 10 hp bodyguard. One option that I think might be worth considering with a VSM such as this would be to give him Flurry (but definitely not Flurry and UTF). That seems to fit the flavor of Mace too, since Vaapad was all about really getting into the fight and getting aggressive...and when you really get into it, you just keep going and going, and you become an unstoppable force. A Mace with this version of VSM could be quite a fun and unique piece. Yeah, the 40 non-preventable damage seems like enough to me. Maybe make triple damage only on a natural 20? True. I had forgotten about the Chagrian. That would be powerful enough as unpreventable damage. Especially with Block and Parry being so prevalent. Nothing is more depressing than rolling a crit and watching your enemy make the block save. I would like to see both Shaper and Scarification changed so they function more like the Rodian Trader's supplies abilities. Replaces attacks: target adjacent Yuuzhan Vong ally gains the specified bonuses for the remainder of the skirmish. This would give Vong squads a unique feel - they get stronger as the game progresses. And it makes more sense than the way it works today, where apparently shaper implants stop working when they get too far from the shaper. I think a lot of Vong CE's should be turned into SA's along these lines as well.